In the competition with prevalent MPV and Vans from Maruti, Mahindra, Toyota, Chevrolet and Force motors, the Tata Motors unveiled its minivan Venture in 2010. 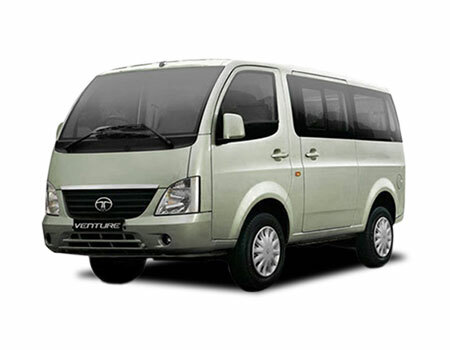 Venture was embodied with class leading capabilities and inculcated with the complete utilitarian features. It boasts the best in class fuel efficiency among Diesel MPVs and is made available in 5,7 and 8 seater arrangement. The architecture of the car is made robust where crumple zone with thick A pillar lowers the intensity of impact. The simplistic designing cues are used where the black blade shape grille looks synchronizing. The sliding door opens the door widely, which makes ease of egress and ingress. On the top the binge antenna is located, which gives the proper connectivity inside. The overall dimensions of the car lies at 3950 mm X 1565 mm X 1878 mm with the wheelbase of 2100 mm. What to opt for: The MPV is made for complete utility, and there are less embellishments outside, however it will be better if one gets body parts insured. As you get in, the premium stylish dual tone interior color scheme welcomes to drive the car. The comfortable seats embraces the driver while lumbar support gives the optimum comfort in driving. The convenience is increased with the one-touch power windows, key less entry etc. The auto climatic air conditioner is available for all passengers while the first and second row seats are reclining for increased convenience. The infotainment system comprise the standard stereo system with AUX-in for in-car entertainment. The enhanced safety is quantified with the engine immobilizer making security against theft. What to opt for: The MPV Venture innate range of standard features which needs cost-effective insurance plan while the engine immobilizer feature mitigates the need of Invoice insurance. The multipurpose vehicle is convenient for carrying luggage and tourist. The car houses the range of capabilities and it would be better if you choose the entry level Insurance plan.